When Purchasing a Property Do You Really Need a Meth Test? The contamination of houses by the manufacture or smoking of meth is a growing issue across Brisbane and Queensland and is a cause for concern for many home owners and investors. Meth residue is a toxic substance that can have a lasting and damaging effect on a property. The problem is most prevalent in properties that have been used as a rental. Buyers and investors therefore need to be cautions as there is the potential for serious financial consequences when a property has been contaminated by meth and meth residue. Why is meth contamination a problem? Methamphetamine is a crystallised illegal narcotic that vaporises when heated. This vapour contains toxic chemicals that turn into odourless and colourless residue coating all surfaces and structural elements of a property. This can include carpets, curtains, furniture, walls and electrical fittings and fixtures. Most concerning is that the chemicals in the residue are harmful to those who come into contact with them and can cause serious health issues ranging from nausea and fatigue to respiratory problems. 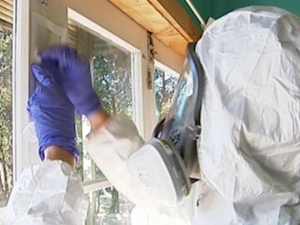 Once a property is contaminated by meth residue, it can be exceedingly difficult to remove. Meth residue decontamination can range from a chemical wash to a strip out of the materials and structure of the property back to the sub frame and sub floor. In the most severe cases, the damage cause by meth contamination may be irreversible and the only option is to demolish the property. In addition to the health issues contact with a meth contaminated property can cause, the potential for severe financial distress can occur. Unless specific cover for meth-related damage is in place, the cost of any mitigation or replacement works will often not be covered by insurance. Depending on the level of contamination, the costs of remediation can range from anywhere between $10,000 and upwards of $40,000. Unlike other toxic contaminants such as mould, meth residue is odourless and is not viable. A simple inspection of the property is therefore unable to ascertain whether contamination is present. However, there are a number of strategies buyers can utilise to reduce their risk of purchasing a contaminated property. Statistically, the property is more likely to be contaminated with meth residue is it is or has previously been used as a rental. Neighbours can often provide invaluable information pertaining to the historical owners or renters of the property and whether there has been a history of unusual activity. This can include frequent visits by the local police or visitors coming and going at odd hours. While meth residue contamination cannot be gauged onsite, there are numerous warning signs perspective buyers can look out for. For example, staining or discolouration on the ceiling or countertops, installation of high-tech or improvised security systems, excessive or high fencing, or the presence of ventilation systems that would be unusual for a residential property. Make Meth Testing a Condition for the Purchase. Initial low-cost tests can provide a yes/no answer as to whether meth residue is present at a property. If the answer is yes, more comprehensive testing can be carried out to determine how prevalent the meth contamination is and whether it is present at dangerous levels. Unfortunately, the problem of meth contamination will continue to be an issue when purchasing a property in today’s environment. Buyers need to be aware of the potential risks, particularly when the property has previously been used as a rental. 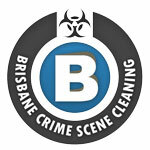 Appropriate enquiries should be made before the contract is signed and, if in doubt, Brisbane Crime Scene Cleaning is available to provide meth testing services always conducted by appropriately qualified and experienced meth testing technicians.